Half Term is just around the corner, which means Darcy will be off from Nursery for a whole week! Every parent knows the half term struggle, trying to find activities to keep their little ones entertained whilst holding on to their sanity. 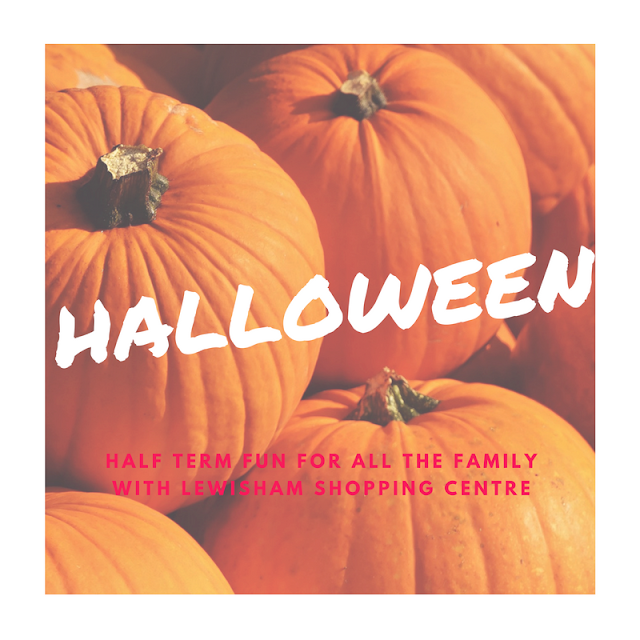 Luckily Lewisham Shopping Centre, have plenty of shops with lots of things to help make half term stress free and lots of fun for both carers and children alike..
over three days from Thursday 27th - Saturday 29th October for free for all the family. 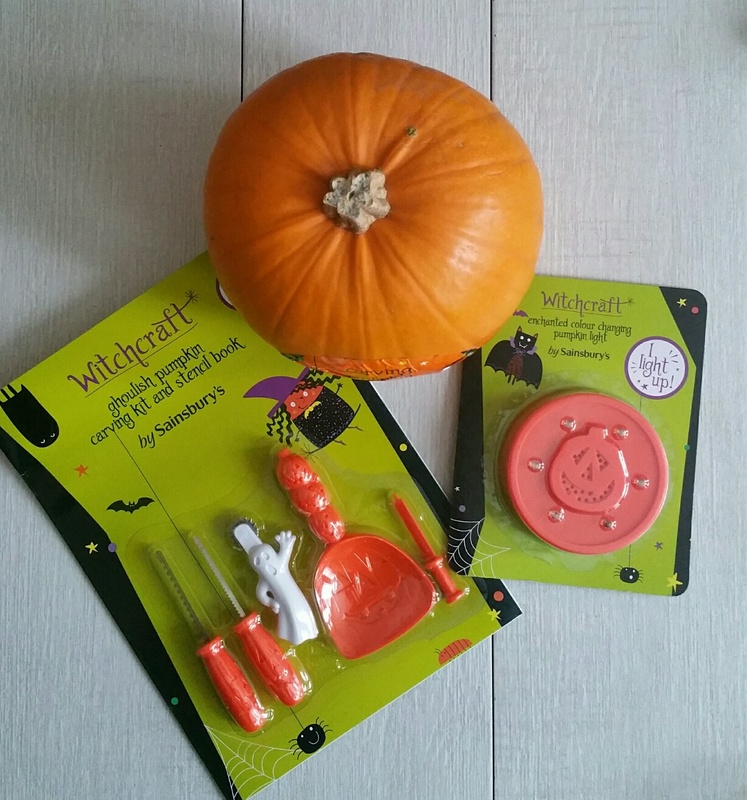 During these Workshops you will be able to create paper pumpkin lanterns with LED candles, face masks and canvas trick and treats bags. Shoppers will be in for a chance of winning £50 worth of arts and crafts items to take home with them, so definately worth popping down for. If you are a regular reader, you may have noticed I love shopping at Lewisham Shopping Centre. It may not be local and the most fancy looking place. However they have everything I need under one roof. The staff are friendly and it is not too busy. Which is perfect when shopping with a toddler as everything is much quicker. 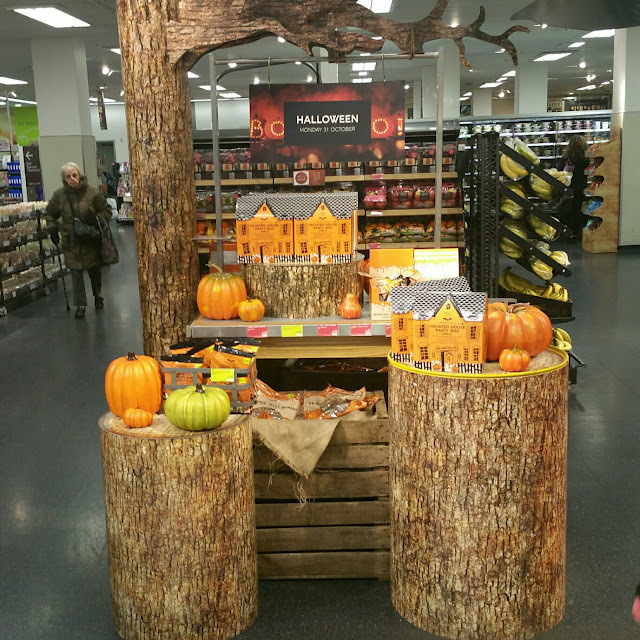 As it is coming up to Halloween we have lots of fun and spooky things planned. So I thought I would share with you some of the stuff we bought. Flying Tiger, formally known as Tiger. Have some great cheap and cheerful bits in. I'm planning on having a little Halloween theme Afternoon Tea for Darcy. So got some cute paper plates and cups, because they cut down on dishes. And she can also decorate the ones we don't use. The Works is my to go place when I am looking for books or anything crafty. 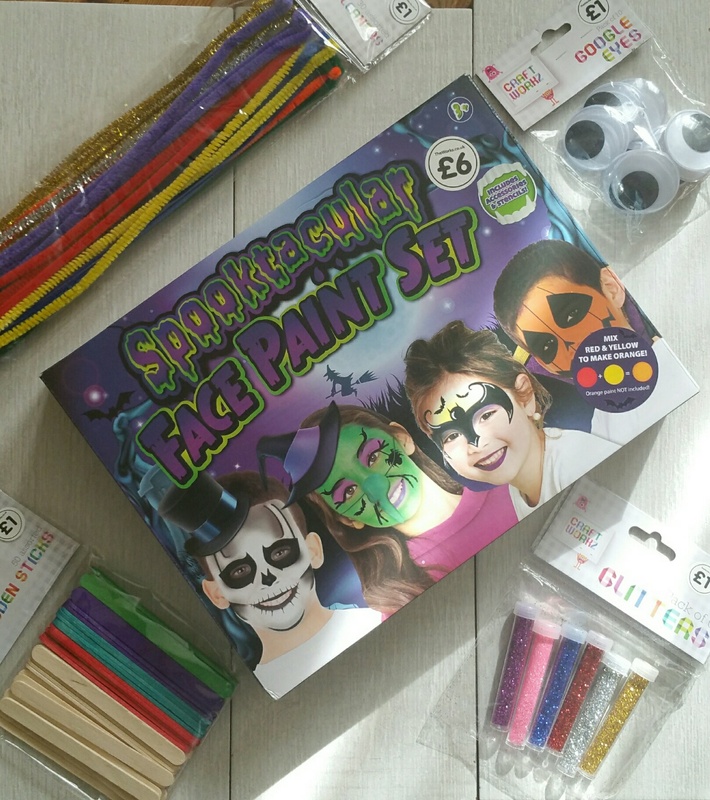 I'm going to attempt some face painting. We are also going to make some spooky spiders. 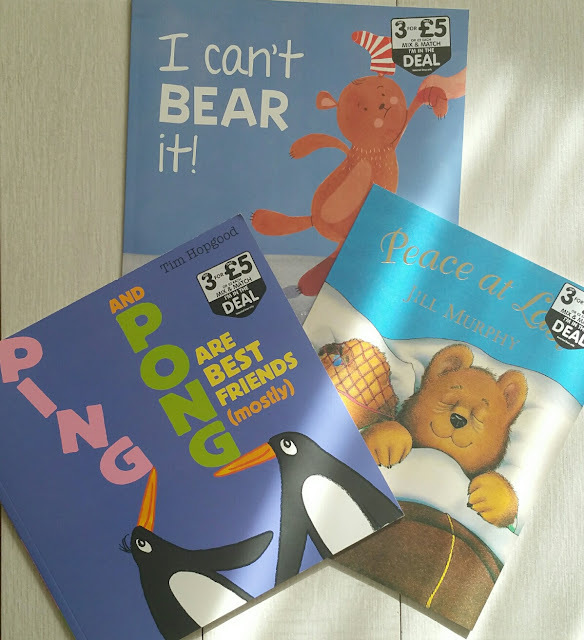 I could not resist their 3 for £5 book offers either. Marks and Spencers have a 3 for 2 offer on their Halloween range. So I grabbed a few goodies. 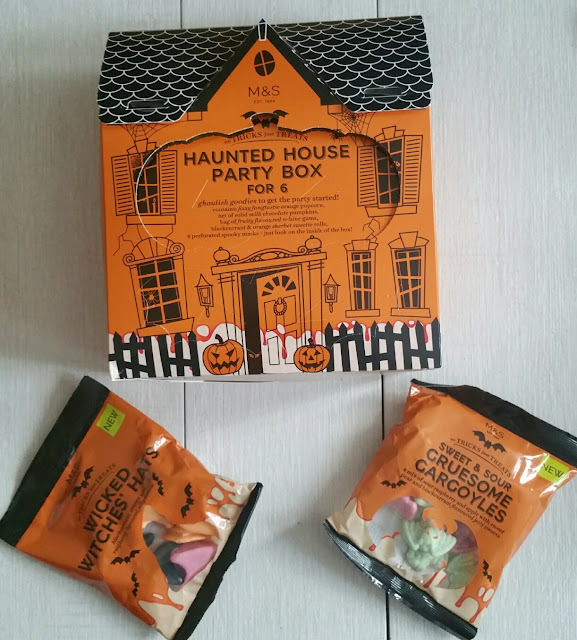 The Haunted House party box contains, fizzy oranged flavoured popcorn, chocolate pumpkins, wine gums, fizzy sweets and spooky mask which will be perfect whilst we watch a few Halloween theme movies. 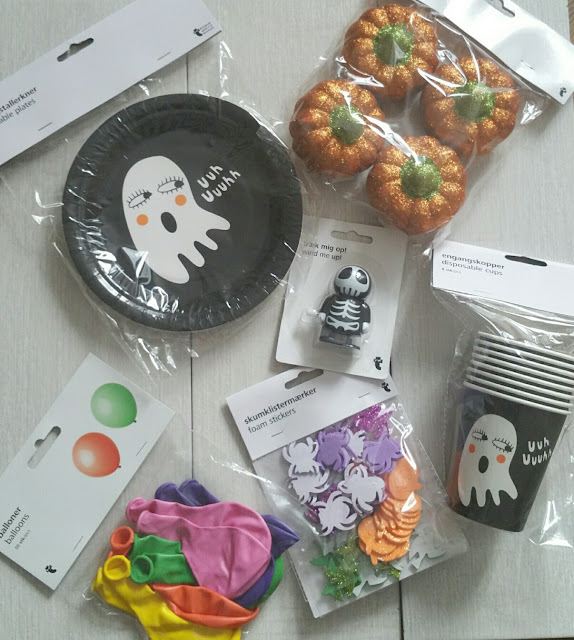 I'm also in the middle of putting together a Halloween basket for Darcy. So I will include a bag of sweets in it. H & M have lots of reasonable priced halloween clothing at the moment. 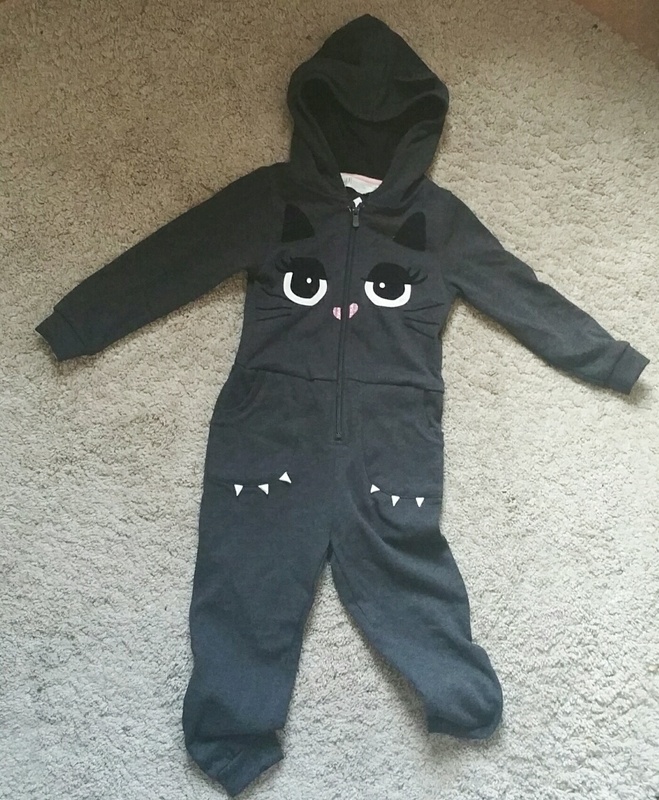 I brought Darcy a cat onesie which will last her throught the winter. 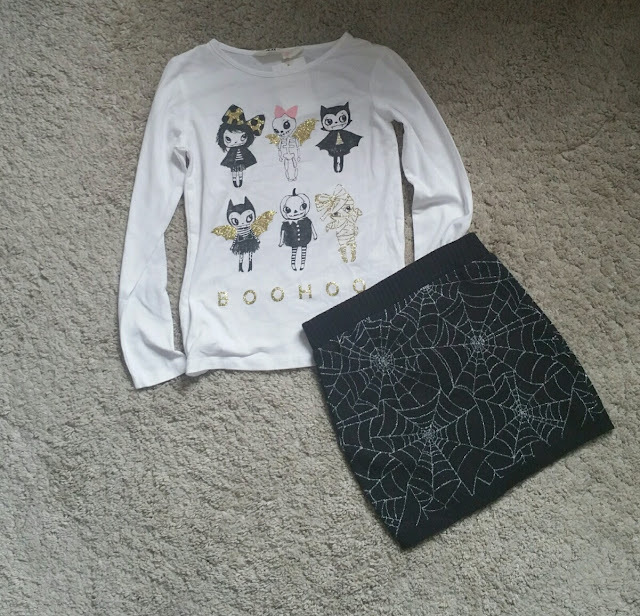 She also fell in love with the boohoo top and spider web skirt. I think she was drawn to the gold glitter on both of them. 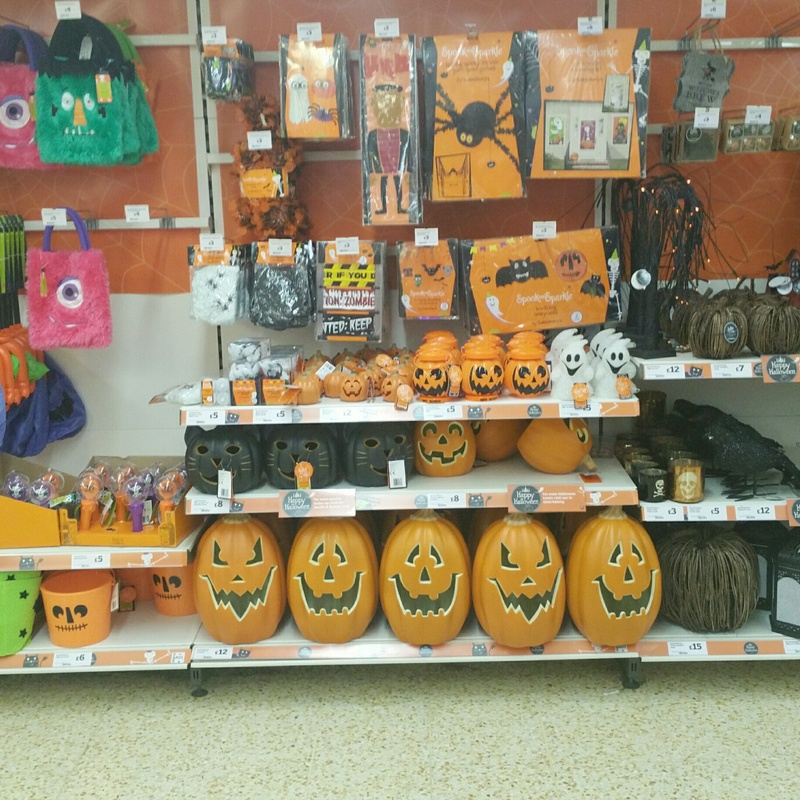 Last stop was at Sainsbury to buy a Pumpkin, I mean you cannot have Halloween without a pumpkin can you??. They have lots of things to help you crave your pumpkins. We brought a carving kit and stencil book and a electronic light to place in the pumpkin, so I don't have to worry Darcy be at risk around a candle. 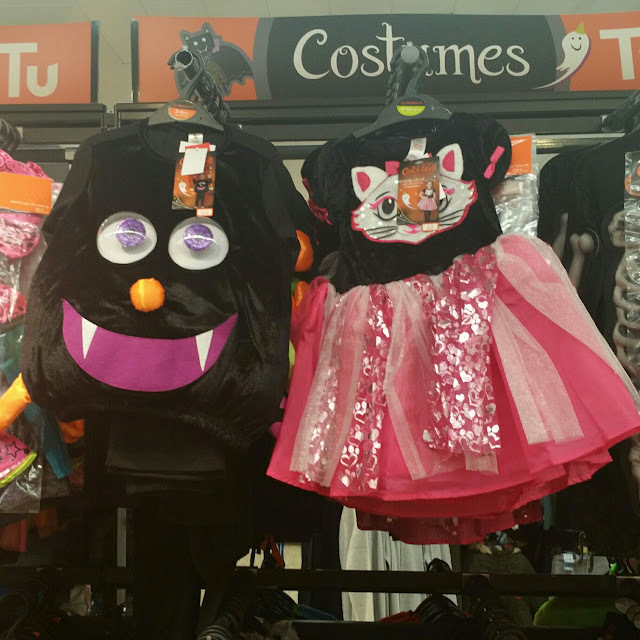 Sainsbury also have a great selection of decorations, treats and costumes to pick from. What do you have planned for half term?